It’s Wednesday, which means it’s time for our weekly installment of new arrivals! For today’s roundup, we’ve searched high and low to find the best in designer and fast-fashion pieces, all of which just hit stores, so that you can be the first of your friends to wear them. From the Zara shoes you don’t want to miss out on to Simon Miller's latest update to its ever-so-coveted bucket bag to the latest (unexpected) Gucci accessory to steal our hearts, we’ve got something for every style type and budget. Now your only problem will be narrowing down your favorites and making room in your closet! So what are you waiting for? Shop our picks of the week below, and don’t forget to check back next Wednesday for another batch of fashion finds! 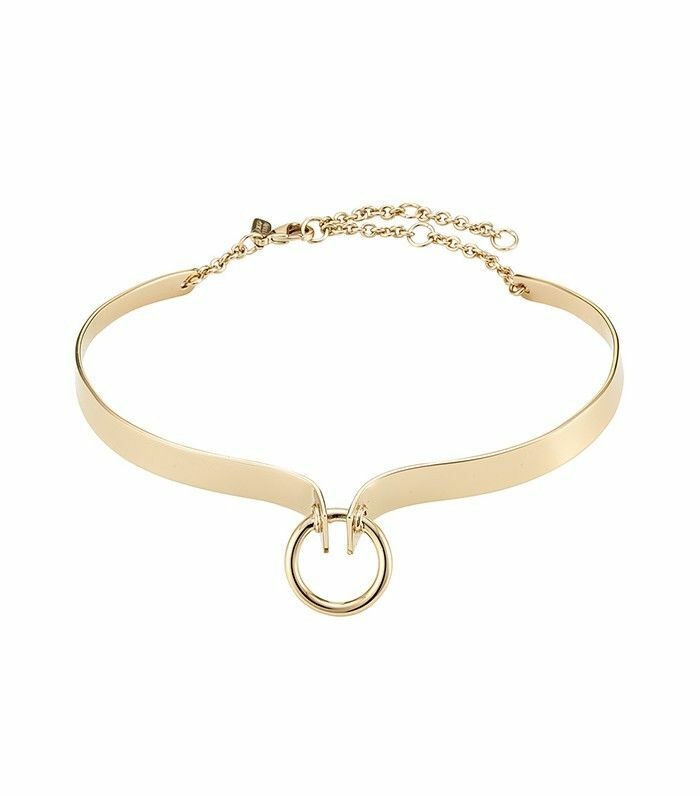 This is enough to make us still want to wear a choker. Click on the link above to see the how cool the back of this jacket is! How etherial is this blouse? The only thing that could have made this bag better was, of course, a convenient (and removable) strap for when you have to go hands-free. Wear this in place of your go-to white tee to make your outfit feel a little more special. These are your new favorite work pants, we promise. How perfect is this bow brooch? We will be layering this over all our tops this fall. You can never have enough lace. Wear this exactly how you see above. We have a feeling these will be selling out any minute. If Shrimps' faux leather feels as good as their faux fur, we've found our new moto jacket for fall! We love a little ladylike dress. Your work wardrobe is about to get a serious upgrade. These are the perfect cross between a basic and statement ankle boot.